Land is the key to the success of many railroad museums. They start with 20-25 acres of open farm land. Usually the first building is a car-barn. Then a shop and another car-barn. Then visitor facilities, depot, visitor's center, cafe. A very gracious offer was made to SMRS to by its neighbor, CTW, to sell a landlockd parcel of greenfield land at a favorable price. This land is marked "FSMR". It was purchased via a very considerable gift from a donor. The property is 23 acres, however, about half is high on a bluff, the rest is down in flood plain. Also, the "Lauber property" was offered. Again, FSMR stepped up. This property is 47 acres. 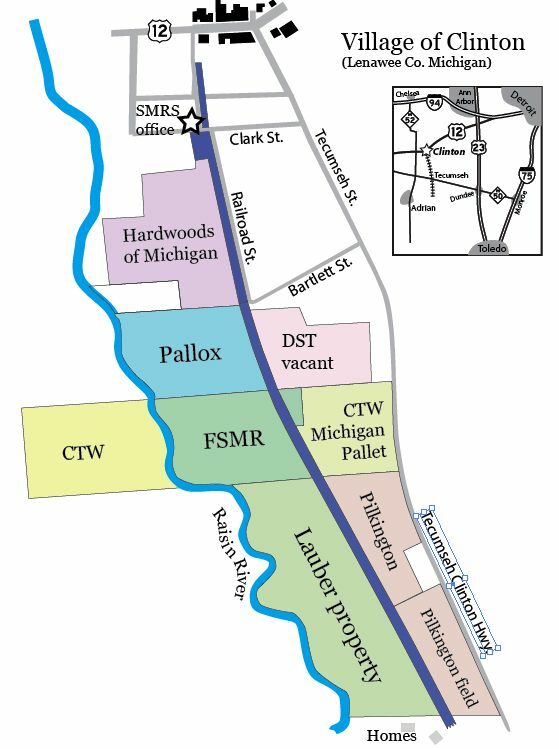 The Southern Michigan Railroad had 70 acres. About 30 acres was safe above the flood plain. However, it was undeveloped, and development would take a long time - estimating 3 years to the first carbarn, given the various planning and design procedures needed. The Pallox company had fallen into foreclosure. This property had a 22,000 square foot warehouse/shop big enough for railroad cars, and some auxiliary buildings too. The bank made several efforts to sell it, with no luck. They placed the property into auction again, and the Southern Michigan Railroad and the Friends were the high bidder. Now, we are working to complete the purchase. 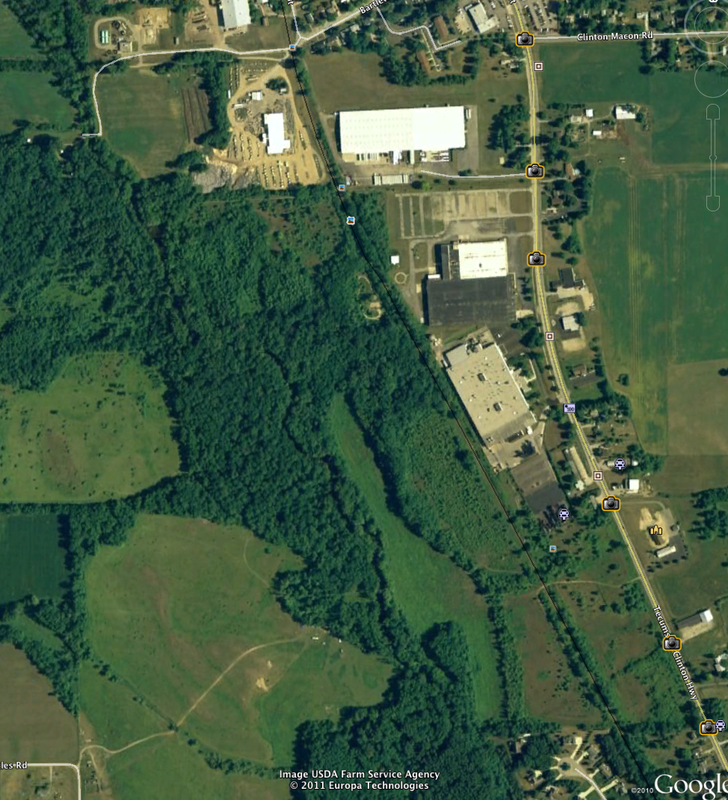 This parcel with the others will total 92 acres, making SMRS the second largest railroad museum (by raw land) behind the Illinois Railway Museum. About 40 acres are above the flood plain and "developable"; the rest is scenic river land with recreational appeal.